Crisis 3 Hunter Edition will be available February 2013 and has got an incredible pre-order offer lined up. All pre-orders of Crisis 3 Hunter Edition will receive a free download of the original Crisis game. If you purchase the Hunter Edition you will also be granted a bonus XP level boost up to level 5 and will receive the Predator bow skin and 3 exclusive dog tags. All offers will be available for Xbox, PS3 and PC. If you like shooters or man vs. alien games like Resistance, I highly recommend this game it has not received the hype but don't let marketing or lack of fool you. Both the campaign and the multiplayer are seriously enjoyable for anyone thanks to the Crytek Game Engine which offers incredible movement and weapon handling and visual experience. 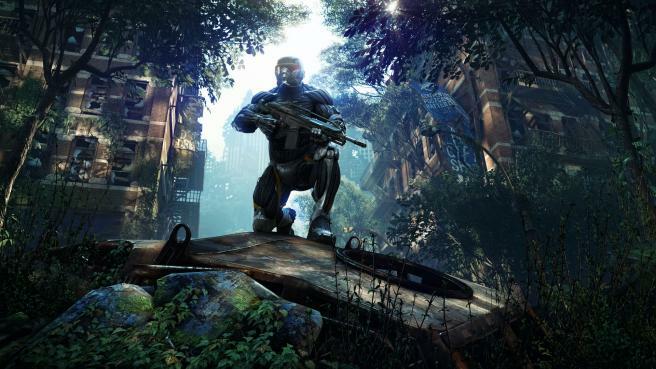 Way to go Crytek I am looking forward to it.